John will also be responsible for the sale and leasing of office, healthcare, retail and industrial properties throughout the Greater Philadelphia region (New Jersey and Pennsylvania), as well as various advisory and consultative services. John has made a career out of providing maximum value to his clients, first with a technology start-up, and most recently in commercial real estate. John has a keen interest in developing custom solutions for the unique challenges each client face, with experience servicing both Fortune 1000 corporations and privately held companies. Whether financial or organizational, servicing clients’ real estate requirements allows John to take a leadership role in the quest to improve the always-coveted bottom line. Associate | Jones Lang LaSalle – Responsible for servicing all Tenant and Landlord Real Estate Requirements, including but not limited to leasing and Investment Analysis. John brings more than a decade of management and leadership experience to complement the skilled team at WCRE. John is an expert when it comes to representing his clients’ real estate interests. 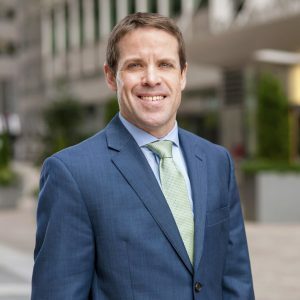 He has experience representing Tenants, Landlords, and Investors on leasing, disposition, and acquisition transactions in Southern New Jersey and the Philadelphia Metro area.